It’s almost THAT time of year and I am super excited because I love gift giving! I love choosing gifts, making gifts, and watching people open their gifts! In fact, it makes me kind of sad when there isn’t time for gifting opening at a party. Since I love gifting and shopping, I really love “Favorite Things Lists.” I thought I would share my list of favorite things just in time for Black Friday and Cyber Monday shopping. Here they are, in no particular order. 4) Good Earth Sweet & Spicy Tea: I have to give a shout out to my friend Melody for introducing me to this perfectly delicious beverage. She made it for me one day and I really couldn’t believe she hadn’t added sweetener. It truly is naturally sweet and spicy, and no sugar is needed. A couple years ago, it wasn’t very easy to find but now you can get it at most grocery stores, of course Amazon, and I recently found it at Publix. I’m not a huge fan of tea, but this stuff is really yummy. 5) Oballs: These were popular a few years ago but I haven’t seen much about them latel. They STILL deserve a place on the list. They are such a fantastic toy for all ages. 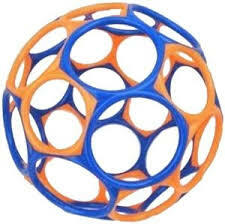 We have a lot of balls, but this is the only one that can be safely thrown around inside without causing any damage. The little holes make it easy for the tiniest toddler to catch, and, best of all, its completely dishwasher safe. 6) Hanna Andersson for kids’ clothing: Especially dresses, unders, and long johns. These are absolutely soft, absolutely comfy and absolutely adorable for years of wear. They are expensive, yes, but they last through multiple children. In fact, most of my Hanna items are second hand and still going strong. The cotton is so soft and sturdy. It tends to be easily treated for stains and to hold up through hundreds of washes. This brand is always on my hunt list when thrifting and trolling ebay. Also, you can get on their mailing list for outlet sales and score bargains that way. 7) Strawesome glass straws: These are beautiful, functional and surprisingly strong. If you think it’s crazy to drink out of a glass straw, consider the difference in drinking from a cheap disposable cup compared to drinking out of your favorite glass or mug. You might be surprised how much you will love them! I think this would be a lovely gift for a teacher or friend and there are some really beautiful designs. We use these for our delicious smoothies from the Vitamix! 8) Choceur Cocoa Dusted Truffles from Aldi: Maybe one of these days I will make a post about all my favorite items from Aldi. For now, let me just assure you that these are the most delicious, most inexpensive chocolates you will find and, with their adorable red box, they are totally gift worthy. People, these are under three bucks! (I should really be keeping these great gift ideas to myself, but I just can’t keep a secret.) Get them now because they are only available for the holiday season. 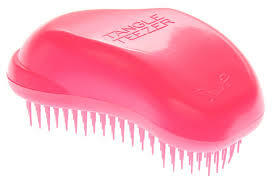 9) Tangle Teezer Hair Brush: It may seem odd for a hair brush to make my top ten list, but I assure you that this weird little piece of plastic has truly SAVED MY SANITY. I’m not sure that I’ve mentioned this, but my twin girls have curly hair. Really, really curly hair. We’re talking, so curly that I once randomly found a Christmas Tree ornament hook in one of their heads and she hadn’t even noticed it was stuck there. True Story. We have tried tons of different products, techniques and a whole slew of brushes, and this one is the ticket to gently de-tangling the curliest of curly hair. I couldn’t love this brush more. You can find it at Sally’s for less than $10. 10) Klean Kanteen water bottles: My husband and I have purchased close to twenty of these for our family and for gifts. Who doesn’t need a great water bottle? We use ours every single day. We love their commitment to the environment, their amazing customer service and their quality designs. I once emailed the company with a concern and received a phone call from a real person less than an hour later. Who does that? Klean Kanteen, that’s who. You can trust these bottles will last for years to come and help you stay hydrated without compromising health and taste (if you’re like me and think plastic is gross). So that’s my list of favorite items. It was really hard for me to keep this list to only ten but I didn’t want to put ya’ll in the poorhouse this Christmas. 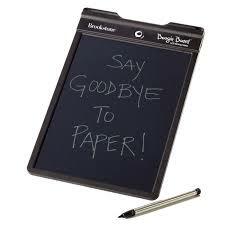 Send me a message or a comment with your favorite items for gift giving this season. Happy Thanksgiving and Happy Shopping! This entry was posted in Christmas, Holidays, Leah Prescott, Shopping and tagged Black Friday, Christmas Shopping, every woman blog, Favorite things, Leah Prescott by lexingtonmedicalcenter. Bookmark the permalink.